You just learned that your IVF procedure hasn’t worked out. You had been so hopeful, and now you’re disappointed. That is a normal feeling that many, if not most, women experience. There are many ways you can do to help you go forward. Know that this is just temporary. An unsuccessful IVF procedure is only one chapter in the story—a bump in the road, not the end of it. Right after you find out, keeping a positive outlook should be your first priority. It’s important to talk to your doctor, your partner and your most trusted family and friends about it even though talking may be the last thing in the world you want to do right now. If your mood does not improve, talking with a therapist or joining an online support group may help countless women to bounce back from an IVF setback. Here are a few ways how other women handled IVF setbacks. Joy multiplies when spread, but worries and disappointment are easier to handle when you don’t handle them alone. That in a nutshell is why you can’t keep your feelings bottled up. You need to talk to others about them, especially people who are willing to listen to what you are feeling and thinking. 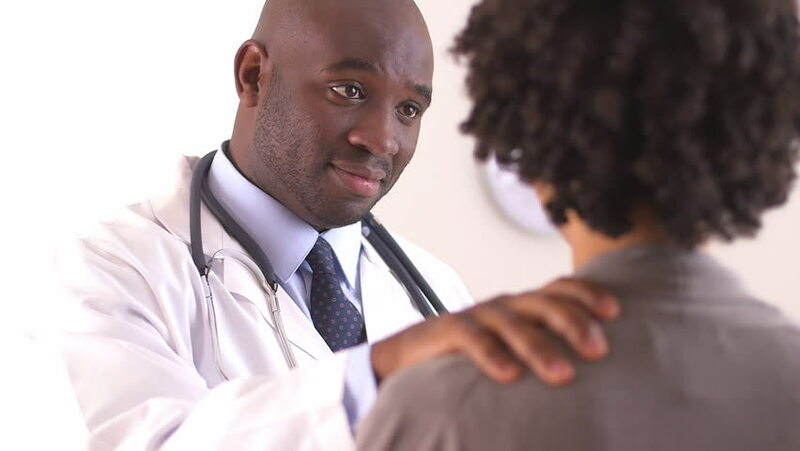 Your doctor is the best person to explain the medical aspects of your situation: what your options are and how to move forward. This may not be your primary interest at the moment, but it certainly will be later on. If you’re not ready to continue IVF right away, be sure to keep it in the back of your mind, as no IVF article on the Internet will replace the expertise of your IVF specialist. In addition, IVF doctors can provide a lot of insights into managing the ups and downs of IVF. You can probably come up with a hundred reasons for putting off discussing your setback with your partner. But you need to do it—and the sooner, the better. First of all, you are a team and teams need to share both the good times and the bad. Secondly, put yourself in your partner’s place. The ability to continue through IVF setbacks means that you need to maintain good communication. Thirdly and most importantly, you will feel better afterwards. Who could be better at comforting you than your partner? Your partner may also have some valuable insights to share with you on how you can both face the setback. No matter how supportive and empathetic they may be, people who haven’t experienced infertility or an IVF setback (especially men) can only imagine what you are going through—they can’t feel it, both physically and emotionally. Talking with women who have had experiences similar to yours can be empowering, enlightening and extremely helpful. It will show you that you are not alone. Not only will you feel a sense of community, but you will almost certainly hear of coping strategies that you would not have thought of by yourself. Resolve is one such large national organization that’s been around since 1974. But there are many other support groups. Feel free to search out your own. Sometimes smaller is better, and you may want something more local. The search strings “infertility support group” or “IVF support group” should give you a good start at finding one that suits your needs. Therapists and counselors are professionals who are trained at helping people cope with the many slings and arrows that life can throw at them. They include psychiatrists, psychologists and social workers. If the help of family, friends and support groups isn’t enough, professional help is often the next step. One of the best ways to keep positive is staying busy, especially by doing the things you enjoy. Work, hobbies, athletics, charitable work–anything you enjoy doing will take your mind off of this setback and will keep you happier and healthier. Of course, part of this is that you need to stay healthy if you want to win in the end. Remember, an IVF setback does not mean you won’t be successful in the end, so keep moving forward.